Ho Chi Minh City is planning to open a few more book streets after the first one in the downtown area turned out to be a much bigger success than expected. Book exhibition "President Ho Chi Minh with Public Security Force and People's Army"
One single book street for a big city is not enough, the municipal culture department said in a report on the government website. The plan is to give every two to three districts their own book street. 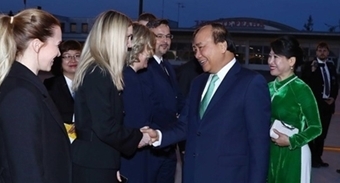 The first was opened on Nguyen Van Binh in January last year. It has since become a new attraction in a tourist precinct that also includes the historic Central Post Office and the Notre Dame Cathedral. Data from the Vietnam Publishers Association showed that the street pulls in 5,000-6,000 visitors per day on weekdays. The number usually doubles during the weekend. In the first three months of 2017, 20 publishers on the street reported total sales of VND11 billion ($485,000). It took them six months to reach that figure last year. Following the success story of Saigon, Hanoi opened its first book street in early May. Publishers in Vietnam are doing everything they can to keep the reading culture alive in the age of digital content. 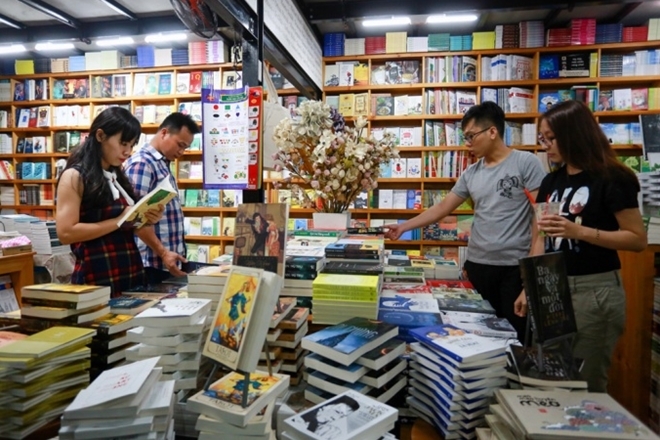 Le Hoang, vice chairman of Vietnam Publishers Association told local media last year that Vietnamese people only read one book and spends only $2 on books a year compared to $10 in China and $200 in many developed countries.